The Federal Government's introduction of monetary incentives in it amnesty package has been condemned by the Archbishop of the Metropolitan See of Lagos, Anthony Cardinal Okogie. Okogie said it was wrong of the government to have reneged on its earlier plan not to offer cash to militants in the amnesty package. He said the decision to pay each of the 10,000 militants a monthly allowance of N20,000 and daily feeding allowance of N1,500 as announced by the Chief Co-ordinator of Amnesty Implementation Committee, Air Vice Marshal Lucky Ararile, was not well thought out because it could fuel the crisis as the armed men would certainly ask for more. And worried by the protracted Niger Delta crisis, the Yoruba Council of Elders (YCE) also known as Igbimo Agba Yoruba, has resolved to meet with President Umaru Musa Yar'Adua on ways to promptly end the problem. Speaking against the backdrop of last week's attack on the Atlas Cove jetty in Lagos by the Movement for the Emancipation of the Niger Delta (MEND), the elders said the violence if not checked could lead to inter-tribal war. At the commissioning of newly trained evangelisers in Lagos at the weekend, Okogie said: "It cannot solve any problem. If they start by giving them N20,000, they are going to take it, later they will say it is too small, and ask for more. Then, where are they going to draw the line? Why not seat down and have reasonable dialogue and see what will happen from it. But I do not think they are ready to do that." On the spate of robberies, especially the one in Nsukka, Enugu State, where police officers were killed and their station razed, Okogie said: "If MEND could get sophisticated weapons with little or nothing that they have. And MEND is probably just 1,000 of the Nigerian population and look at how they are shaking the country. What are the federal and state governments doing with our money? I think what is wrong is that we are not concentrating on what we should take first." Okogie charged the newly ordained church workers to be ready to lay down their lives for the gospel, noting that the work of an evangeliser is risky because an evangeliser is an enemy to Satan. "The work of witnessing for Christ is at times risky. A lot of the early missionaries suffered martyrdom. It has something to do with suffering. You just have to bear your cross. Though most people will prefer to hear the gospel of prosperity and not the gospel of suffering. The pastors do not wait for God to bless them. They force the money out of the poor people. Anyone setting out to authentically evangelise for Christ is at risk, an enemy of Satan. "Witnessing cannot be based on hearsay. You must experience it before you can evangelise well. You must have a personal relationship with Jesus. You must read the scriptures and meditate on it. You must also improve your prayer life, this is how Jesus will reveal Himself to you," he said. YCE, which described the spread of the Niger Delta violence to the South-West as shocking, said it has decided to meet with Yar'Adua on the logjam. Its President, Maj.-Gen. Adeyinka Adebayo (rtd), told reporters at the end of the council's meeting in Ibadan that the unending crisis in the oil-rich region had again brought to the fore the need to practice true federalism in the country. The group also described the political crisis rocking the Peoples Democratic Party (PDP) in Ogun State as disturbing and appealed to the warring parties to sheath their sword. Adebayo said a committee of the YCE, headed by him, had earlier met behind closed doors with all the factions in the Ogun crisis with a view to finding an amicable solution to it. He said: "This is the second time within two months that we would be releasing a statement on the political crisis in Ogun State. All Yoruba sons and daughters must at all times strive to adopt the concept of Omoluabi." The elders, however, assured Nigerians that an amicable resolution of the crisis would be found soon. "There is no way for war or any form of battle in Yoruba land again. The race must be noted for political sophistication, economically viable and socially progressive." At the meeting were Second Republic Attorney-General of the Federation and Minister of Justice, Chief Richard Akinjide; former Secretary to Oyo State government, Dr. Dejo Raimi; Secretary-General of the body, Prof. Bayo Olateju and Mrs. Bolajoko Doherty, among others. 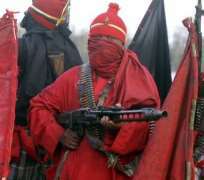 Yar'Adua's amnesty to militants may have started yielding results as some Niger Delta ethnic nationalities' youth leaders, have endorsed the deal. In a statement issued at the end of a meeting in Asaba, Delta State during the weekend, the youth leaders however advised that the package should be anchored on a two-phased approach of persuading the militants to surrender their arms and the take-off of infrastructural and human capital development in the region. While calling for the immediate demilitarisation of the oil-rich region, the youth leaders demanded for a return to true fiscal federalism, which must be reflected in the amendment of the 1999 Constitution. The forum also condemned the government's attempt to site another Petroleum Training Institute in Kaduna while neglecting the one at Effurun, near Warri. The Niger Delta youth leaders who welcomed the creation of the Niger Delta Ministry however frowned at its under-funding and for the immediate release of the withheld funds of the Niger Delta Development Commission (NDDC). The statement was jointly signed by Dr. Chris Ekiyor, President of Ijaw Youth Council; Mr. Godwin Okporoko, President of Urhobo Youth Council; Mr. David Tonwe, President of Itsekiri National Youth Council; and Mr. Zino Onaemo, President of Isoko National Youth Movement. Others are Mr. Aiyamekhue Edokpolo, the President of Benin National Congress; Mr. Henry Okpamen, the President of Esan Youth Coalition; and Mr. Imoh Okoko, the President of Ibibio Youth Forum.